Buying a new construction home? Why you need ME as your Realtor! When you're house hunting the option to buy/build a new construction home is a great option and personally one of my favorite options. If you have 6-12 months, depending on the builder and size of the home, it can be a great option for you. You get to be the first to live in the pristine home, you pick the lot, the floor plan and there's tons of warranties as well as it's great for resale. It's full of brand-new appliances, the finishes and treatments that you picked to fit your taste and you won't have to worry about making any cosmetic or structural upgrades for years. 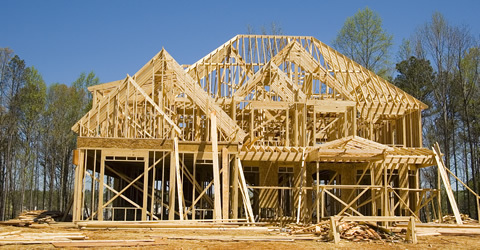 If you are interested in buying a new construction, the builder's agent will be ready to help you with the process. But make no mistake, YOU NEED YOUR OWN REALTOR FROM THE GET-GO! Even if it seems like plug and play to sign up with the builder's on-site agent, you're going to want someone representing your side of the deal and taking your best interest as first priority, they will NOT! What is a builder's agent? When you buy a new construction home, the home's builder is considered the seller and the agent representing the builder is called the builder's agent. The builder’s agent will always have the builder's best interest in mind, NOT yours. After all, the job of the builder's agent is to get them the highest price for the homes the builder is selling so the agent is not going to be as eager to negotiate down. Also, these homes are built by humans so problems and errors DO HAPPEN, therefor you will want someone to take your side, NOT THEIRS! Why you should hire your own real estate agent? It's a GREAT idea to have ME accompany you on your first visit to the new construction. Why? Because the builder (aka the seller) will be responsible for paying the commission and needs to know that you'll have a Realtor representing you. My job is to help you get the most value for your money, with the least hassle and frustration as well as walk you through the process from start to close and help you with any challenges along the way. Negotiating price and extras: There is often special pricing, saving, discounts within certain communities as well as inventory homes (already started homes) and you might not know to ask about these things. The builders agent obviously isn't going to advertise these things either. Want upgraded counters or appliances in that new home? I can help you with all those extra perks, amenities, and upgrades. Sometimes there's extra incentives that we can ask for that they might not have told you about it, again to save them money. I know the right questions to ask at the right times. Recommending financing: A builder typically will have a preferred lender that it will try to steer you to, but I can help make sure that you're getting the mortgage that works best for you. They typically offer you incentives to use their preferred lender however sometimes those incentives can back fire with higher interest rates or loan program that isn't the best for you. Shopping around is always wise and I have a great team of lenders that I ALWAYS have my clients shop to so that we can get you the best deal. Many times my lenders beat out the builders lenders even with their incentives, again a GREAT savings and a huge reason you need me here to help guide you through this. I currently work with a lender that has an FHA program for first time home buyers that pays all closing costs!! That's a huge savings and can make or break you being able to buy that first home, saving you literally thousands of dollars! How the builder's agent can help you? All that said, the builder's agent can be a valuable resource for learning about your potential new home. They are knowledgeable about the construction and available amenities, as well as the housing development and general community vibe. You can rely on the builder's agent for background information and weekly updates on the process of the build. If you're looking to buy a new home and want explore new construction homes, please contact me. With the growth of Austin there are TONS of great opportunities out there and plenty of new neighborhoods to choose from in many different price points from North, East, South and West!! Last updated April 24 at 9:36 pm.